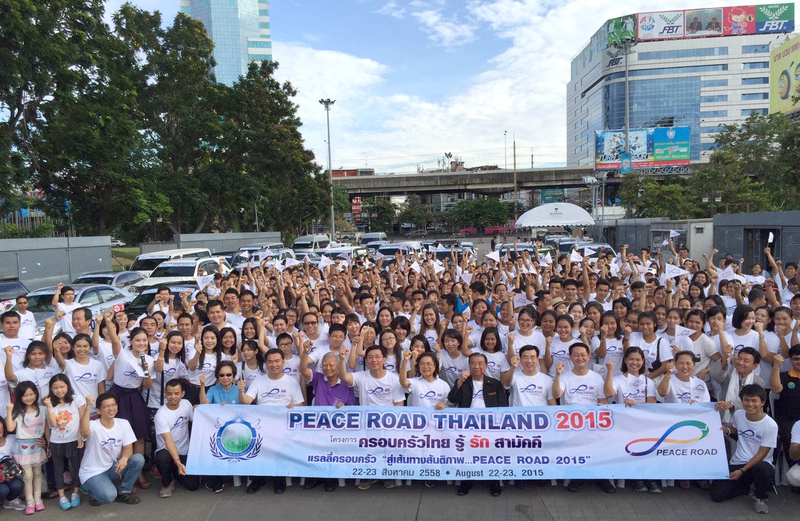 By FFWPU Thailand, Kamol Thananopavarn: On August 22, 2015 UPF Thailand and affiliated organizations had organized the significant campaign, Peace Road Thailand 2015 in order to commemorate the third anniversary of Father Sun Myung Moon’s Seonghwa and to inherit the peace ideal, peace movement and legacy of our True Parents, to promote peace & unity in the families and in the nation of Thailand and re-unification of North and South Korea. There were 500 people attend opening ceremony at Sport Authority of Thailand and 50 cars with around 200 families members, parent-children, join car rally for peace and bicycle rally for peace from Bangkok to the Bridge of River Kwai which is the place that always remind us the tragic consequence of the Second World War in Thailand at Kanchanaburi province. 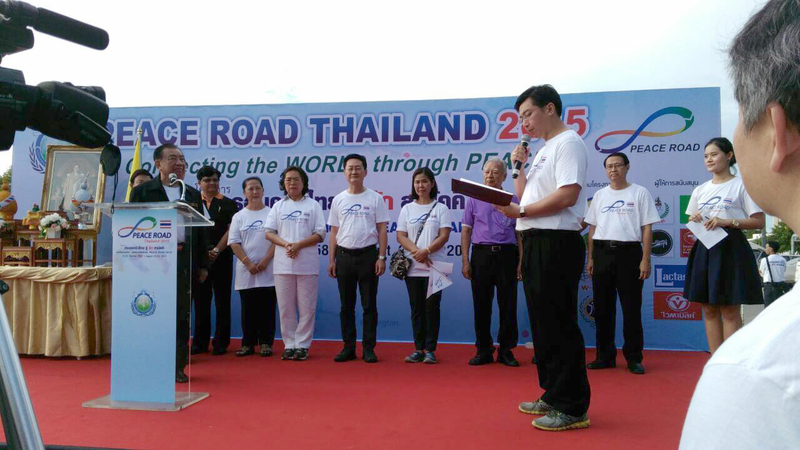 This Peace Road project in Thailand becomes very special and outstanding project because it combines together both car rally and bike rally. It was very successful project which has created and promote family atmosphere of true love and peace. The vision of True Parents to connect humanity into one by creating unity, ideal family and true love through Peace Road project 2015 becomes prosper in Thailand. 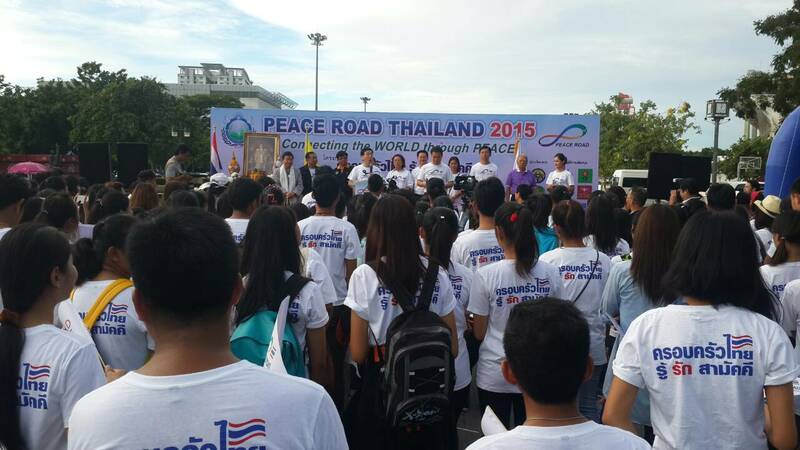 Peace Road Thailand 2015 was organized under the UPF & FFWPU project called “Thai Family unity, love and understanding” which is Divine Principle Seminar in topic “Family is School of Love and Peace” at Provincial Capital Auditorium and “Interfaith Peace Blessing Festival” in 51 provinces from total 77 provinces of Thailand as “Tribal Messiah Movement” in Thailand. There are many sponsors support our event, such as government organization: Sport Authority of Thailand, Ilhwa Company and beverage & Food Company. 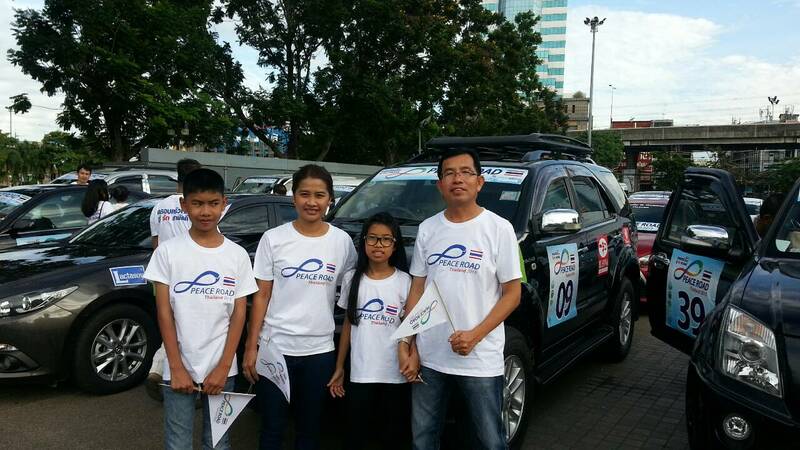 Also, there are many drivers who love car rally join our UPF activities for the first time with their wives and children. 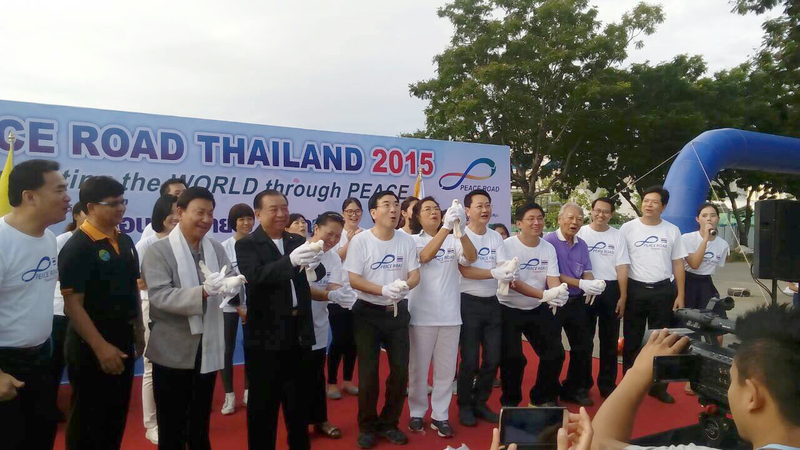 Early morning, August 22, 2015 the Opening Ceremony was held at the Sports Authority of Thailand in Bangkok with 500 participants who love peace. Begin the program by dance for peace for the song “Bounce”. Dr. Chung Sik Yong, Regional President of UPF Asia delivered the congratulatory remarks. Rev. Kamol Thananopavarn, President of FFWPU Thailand gave reporting remark. Gen. Terdsak Marrome, President of UPF Thailand gave opening remarks. After cutting ribbon, UPF committee and VIPs release the pigeons to the sky as symbol for peace. Then, Gen. Terdsak Marrome passed the Peace Road flag to Dr. Chung Sik Yong in order to bring it back to the original homeland, Korea. All participants, hands in hands, sang the Unity Song (Tongil) together. 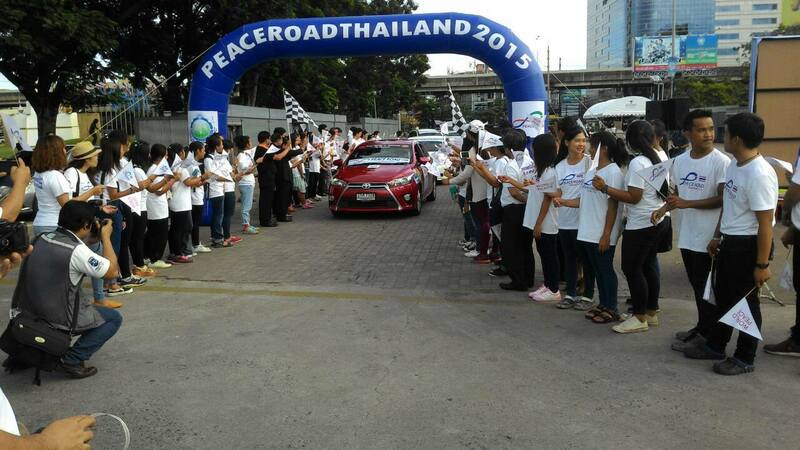 50 cars were released from the pit to take the journey from Bangkok to Bridge of River Kwai (130 Kilomitres). On the way, there were 5 stop-check points where each team to receive homework to do together and to compete for winner awards at the end, this is in order to create unity and co-operation in among family members. Family members, especially, the children were so fun, excited and worked hard with their parents who became driver & navigator to determine to win the games. Near Kanchanaburi city, it is located the “Bridge of River Kwai” and railroad, this project was constructed by Japanese army during Second World War in 1943-1945 for the attempt to continue their invasion from Thailand to Burma and India. There were many tens of thousands of European and American prisoners who forced to work too hard with extreme bad condition of living. There were more than 13,000 people only in this spot and more than 80,000 people died along the railroad from Thailand to Burma. This bridge becomes the symbol to remind humankind to work together to promote peace and absent of war. 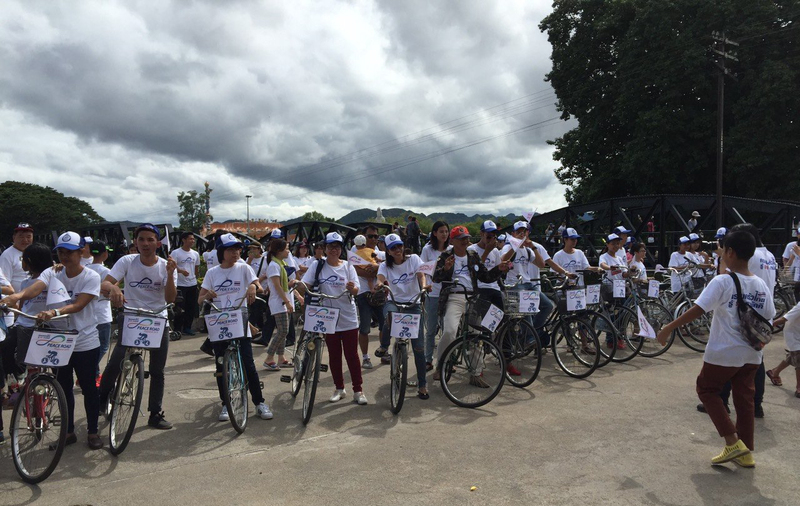 The car rally stopped at huge cemetery of thousands tomb, and the representatives of each car ride the bicycle from cemetery to Bridge of River Kwai for 2 kilometers with the heart praying for peace. Then, Dr. Chung Sik Yong, Dr. Lek Thaveetermsakul, Rev. 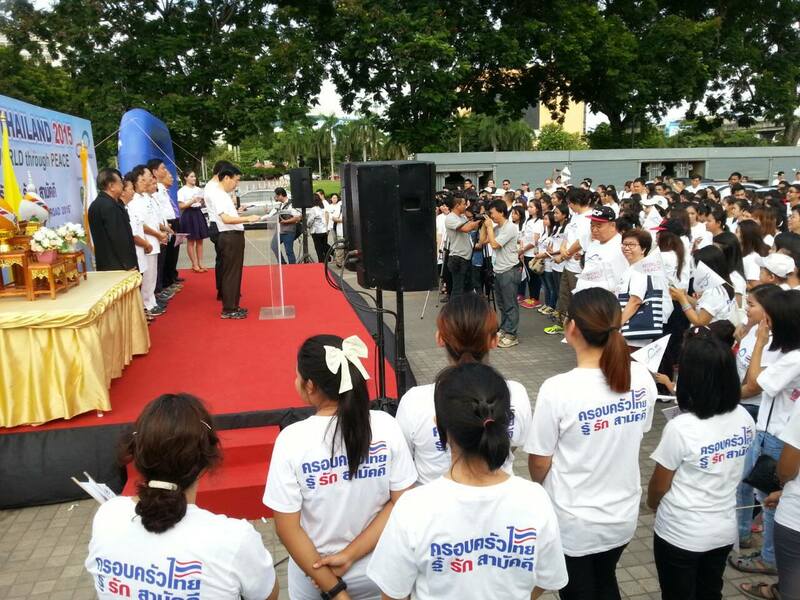 Kamol Thananopavarn and all participants sang the Unity Song one more time together at the Bridge of River Kwai to comfort the spirits of the people from allied nation in 2nd World War who died and buried during the construction of the bridge more than 75 years ago. The Rally ended with the joyful evening banquet with awarding and singing together. Children and families were so happy to experience of their effort of working together during the rally and chance to meet their friends from other families. 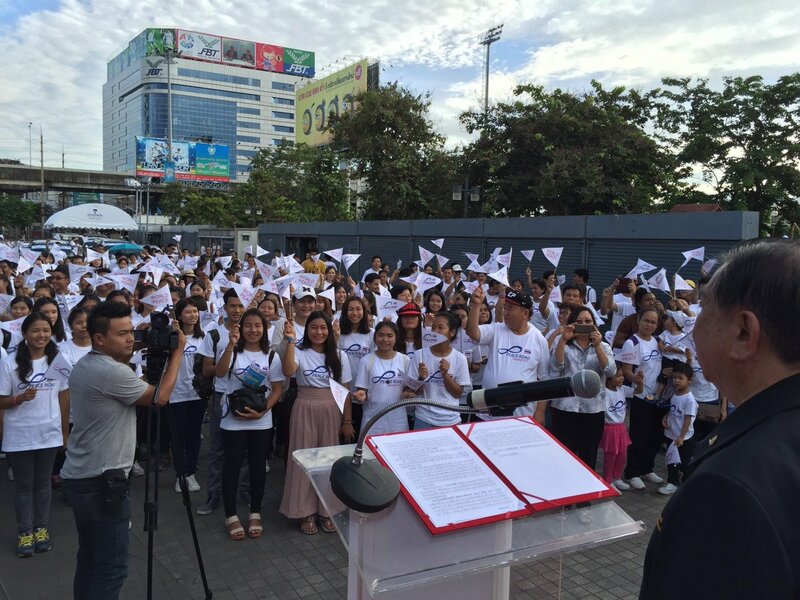 At the victory celebration, Dr. Yong asked us to do this Peace Road Rally annually but to expand it to the national level in order to let tens thousands of people know and join the vision and legacy for peace of our beloved True Parents. Thai families are so grateful to True Parents that gave us the Peace Road project that we can feel the love of Heaven Parents and True Parents by atmosphere of ideal families and ideal community and be able to outreach to new families to connect to our movement.